An Uber engineer will still sit in the driver's seat, and occasionally be prompted to take over in riskier situations like bridges, according to Bloomberg. A copilot in the passenger seat will take notes, and cameras inside and outside of the vehicle will record each trip. Riders may not know they're getting into self-driving vehicles until they actually appear, but those trips will be free, and a tablet in the rear seat will explain what's going on. 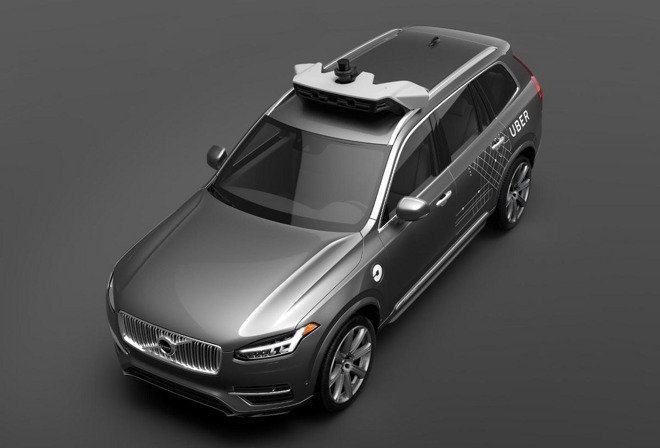 Uber is in fact hoping to discourage riders from talking to the XC90 drivers, in a bid to get people used to the idea of a driverless car. While still a test in many senses, Uber's rollout is effectively the first public launch of fully self-driving car technology. Companies like Google have conducted road tests, but not as part of a commercial service. Uber has expressed a strong desire to adopt self-driving vehicles as soon as possible. Doing so will allow it to dramatically cut its biggest expense —human workers, who need to be paid a reasonable wage. Ford is also planning to enter fully-automated ridesharing and ride-hailing, but only in 2021. Tesla has suggested that once it achieves the same level of technology, owners of its cars may be able to offer them up for ridesharing, making their money back. Apple could potentially go down a similar route when its own car arrives in 2021. While it's unlikely to launch its own service, the company recently invested $1 billion into Chinese ride-hailing service Didi Chuxing, and it might be easier to sell high-priced first-generation vehicles to other businesses than a general audience.